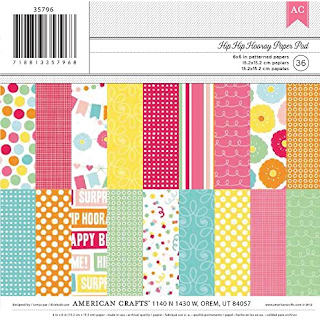 I then cut a Yellow Base using Bazzil Yellow 4 1/4" by 5 1/2" which I pasted to a 110lb card base with top fold. 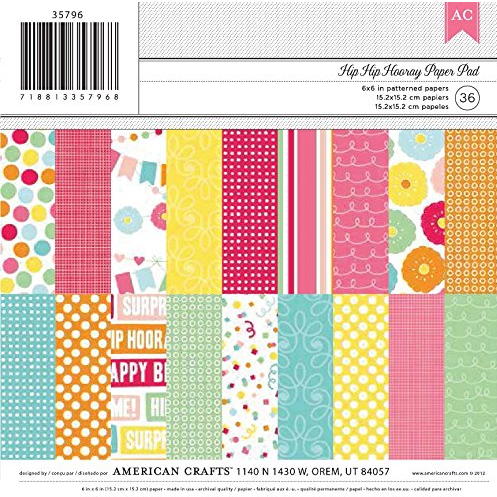 I then cut a piece of patterned paper Hip Hip Hooray by American Crafts 4 1/4" by 5". 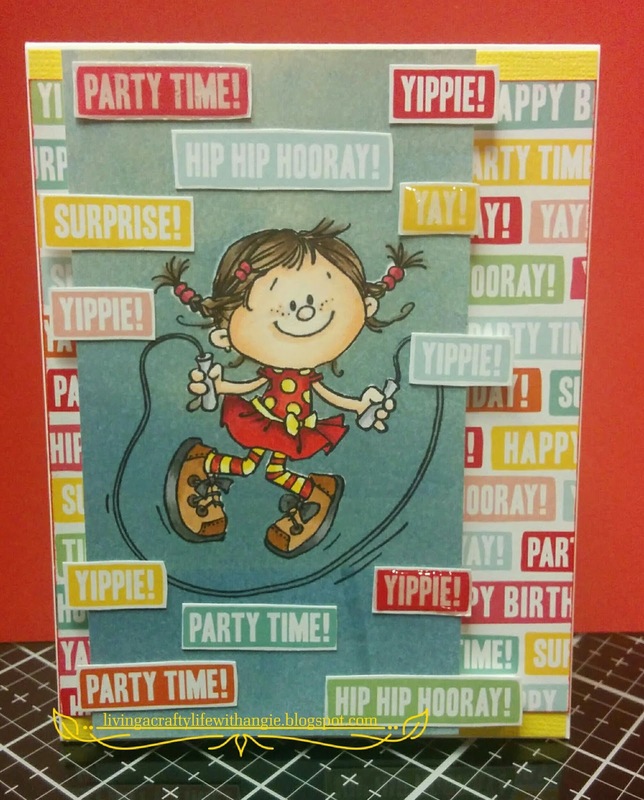 I pasted this piece to the center of the card leaving a 1/4" gap on the top and bottom. I cut the colored image to 3" by 5 1/4" and added foam to the back and adhered to the card. 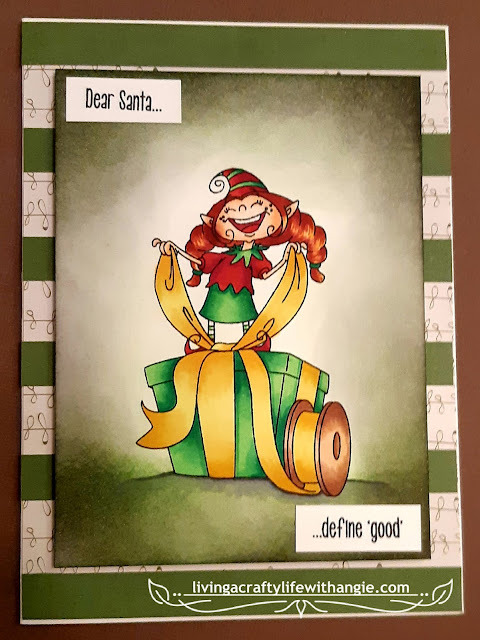 I used the left over patterned paper piece and fussy cut more word tags to decorate the top, When cutting the words I made sure to leave a little white frame around each word. I used Glossy Accents on 3 of the words to add extra detail and adhered them directly to the colored piece.